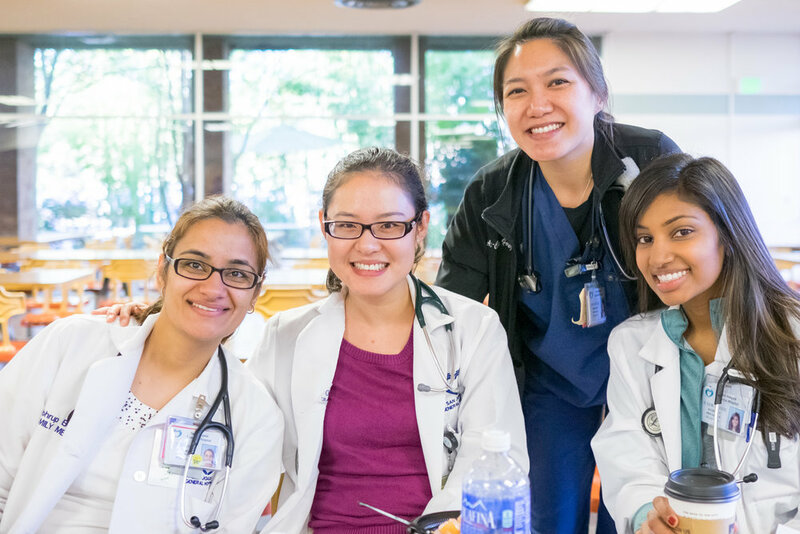 As this year's Chief Residents, we would like to introduce you to San Joaquin General Hospital's Family Medicine Residency Program. Our program has graduated family physicians since 1972, with a majority of graduates staying in California. Most of our graduates practice general medicine while some have gone on to become fellowship trained in sports medicine, emergency medicine, or geriatrics. Our hospital is the only hospital in the county which makes it a mission to care for the underserved community. In addition, we are the only teaching institution in the community. Our program is "opposed" which means we are not the only residency program in the hospital. The other programs in our teaching hospital include: internal medicine and surgery. The heart of our residency program is the family medicine clinic where our residents refine their procedural and clinical skills for the care of their continuity patients and their families. The breath of medicine that is experienced at this hospital is second to none. In addition, we have a strong relationship with our attendings whom give us the autonomy which we need to grow. We feel that after residency, we will be able to take on any situation that may arise in our future practice. Resident life at our hospital is collegial. We work closely with the surgery residents both during our surgical rotations and when they are consulted for our patients. We also work with the internal medicine residents when we are on ICU and during our sub-specialist rotations. Most of our residents in family medicine and the other programs live together at a few apartment complexes in Stockton. Some decide to rent houses, and some commute from as far as San Jose. We have an annual fall and spring retreat for our family medicine residents to unwind. If we had to do it all over again, this program would still have been our first choice. The pathology, autonomy, camaraderie, and learning here at SJGH is what keeps us coming back day after day. So, come check us out. Talk to us, talk to our fellow residents, and talk to our faculty. You won't be disappointed!